Common names: Red-haired laurel, rooikweper, umNgcabe, umNqayane. 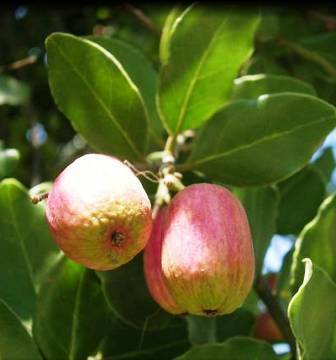 Red quince is a beautiful tree from Africa bearing bright red edible fruits scattered among the tiny green leaves. 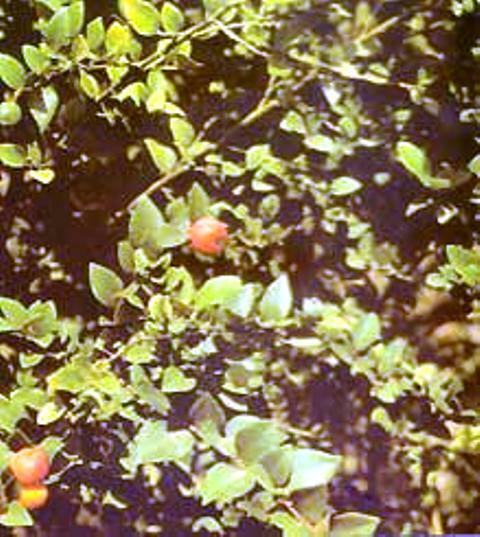 Red quince is a shrub or a small tree ranging from 2 to 6 m in evergreen forests along the coast. The main stem is greyish and the branch tips and leaf buds are covered with coppery hairs. The leaves are small and green on the upper surface, and the under surface is a silvery blue with rust-coloured/coppery hairs along the midrib and veins. The leaves are tiny with a relatively broad base that taper towards the tips as the margin rolls under. 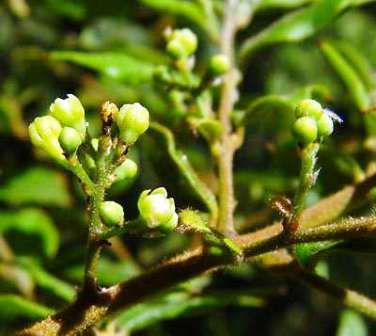 Flowers are very small, white, covered with coppery hairs. Fruit are bright red, ripening. Concoctions and infusions of the bark are often used to treat headaches, urinary disorders, stomach complications, as well as emotional and nervous disorders. 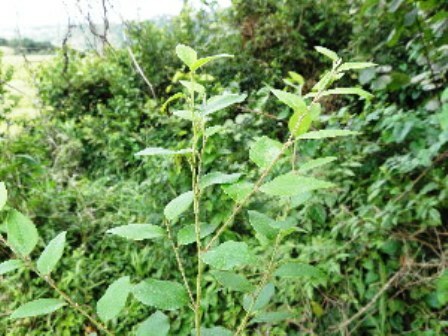 It is also said to be an effective remedy for treating infantile diarrhea. Red quince can also be grown from cuttings in summer. This can be done by dipping the cutting in a rooting hormone mixture to promote rooting. Thereafter, place the cutting in a bark and polystyrene mix. The red quince makes a decorative understorey for a forest garden.